Barefoot and beach body weather is upon us, and so getting smooth, healthy feet and legs a priority. We have some tips for keeping them silky and glowing for summer weddings, poolside chilling and sultry date nights, with 7 simple steps. Of course, we want our perfect legs for summer to come as naturally as possible, so we’ve only selected pure, clean beauty products to help you get glowing! 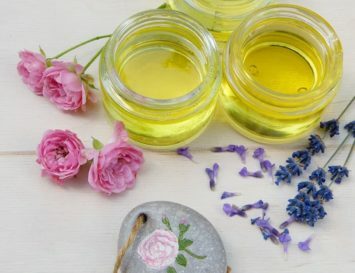 First, soak in a bath of warm water and add a few drops of Erin’s Faces Monoi Tiare Oil made from sustainably harvested Tahitian Tiare blossoms (similar to gardenias). This will soothe and gently moisturize your skin, preparing it for Step 2. Smear a bit of coconut oil on your calves – any brand will do. Shave legs to wherever you normally stop. Tip: Instead of nasty, landfill-filling disposable plastic razors, use a refillable razor instead -these tend to last longer, and are way better for the environment! Another eco-friendly way to shave is by using an electric razor. 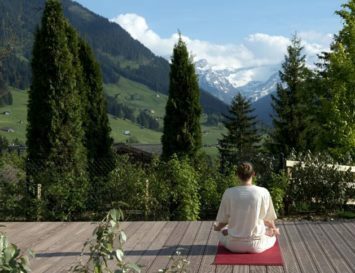 Click here to see a selection of great ones that really work! 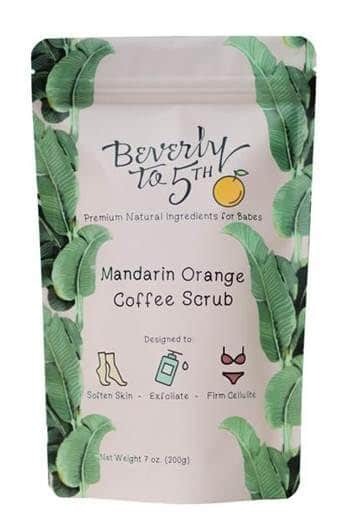 Make a scrub by combining a small amount of water and vegan, organic, and cruelty free Beverly to 5th Mandarin Orange Coffee Scrub to create a thick paste that will easily slough off rough spots, minimize any scars, and get circulation going. Massage in for about 3 minutes with bare hands or a sea sponge before rinsing off totally. Dry off. 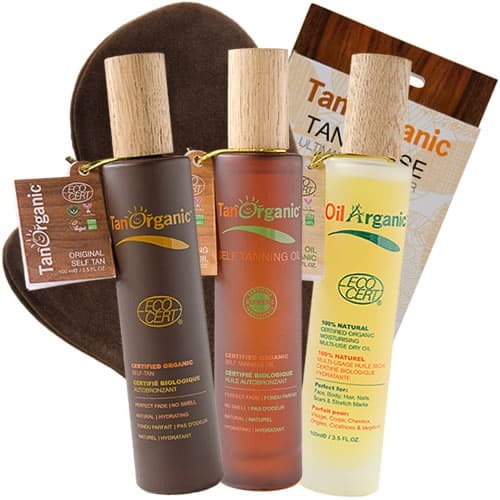 Now that your legs are super smooth, if you feel they’re still too pasty to go out in public, try a great fake bake like TanOrganic. It doesn’t smell bad at all (in fact, there’s barely any smell! 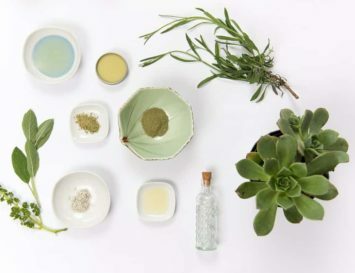 ), has no orange undertones, and is easy to use: just squeeze some product onto their plush sponge glove and carefully apply all over your legs – get someone to help with the back if you need it, and don’t forget your feet! Push back cuticles on your toes while they’re still damp. Use a foot file to slough off calluses and dead skin on the heels, cut nails as needed, and moisturize feet with Odylique Calendula Balm. This 100% organic moisturizer is made from beta carotene rich calendula, calming chamomile, and hydrating vitamin-rich raw shea and coconut. It will smooth away any dryness for hours and hours. Paint nails with a base coat, like PRITI NYC’s 2-in-1 top coat and base coat . Then, add the colour of your choice. 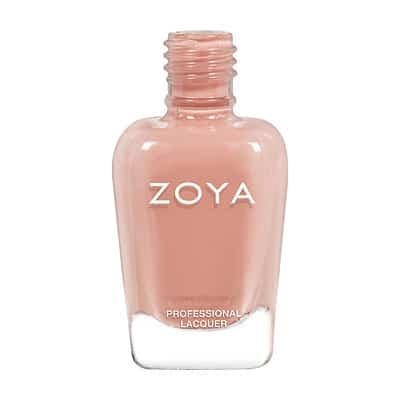 We’re loving Cathy by Zoya. Finish off with a top coat by PRITI NYC, of course! Tip: wipe any cream from step 4 off with a cotton pad or towel before painting nails! Slather legs with F.O.Y. 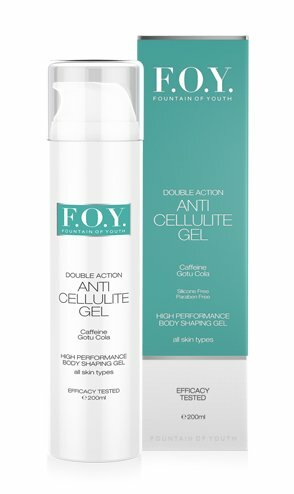 Anti Cellulite Cream, which tightens and skin and improves texture, whether you have cottage cheese thighs or not – it’s all thanks to its anti-inflammatory chamomile, calendula, aloe juice, and caffeine, which stimulates circulation. 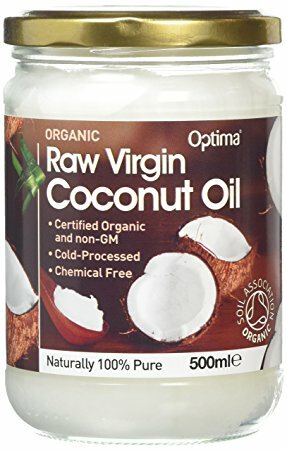 This stuff is a UK cult favourite – because it actually works!